I just got done reading this. Did I learn anything new? some things. 6) There was a moment where Cherry Moon could have been an ok movie...but that moment closed quickly. I have bought boook myself for completist reasons, but it's pretty cool so far. I take my time reading it since being involved in college life, but its okkay I like how the author, so far, puts it in a story-like reasoning and wording. But from ur discovered "facts", that was pretty much already known on my end. But it's still fun to read what people write about Prince anyhow. Matter of fact, let me pick up the book now. But my question is, do we think that he ever will do a biography? I would say no. I always wonder though, whether Prince would be the type of person to look back over his career and life and admit to making stupid decisions or stand by them and give his reasons and side of the story? "If you've ever wondered what Tower Records chairman Russ Solomon thought of Prince's striking a deal with Best Buy to sell his 1998 album, "Crystal Ball," as a four- disc set, rejoice." when prince "changed his name", he tried to sell an autobigraphy of "Prince" to then Doubleday book editor Jackie Onassis. (Jackie once personally flew to California to persuade Michael Jackson to write his autobiography). She was basically on her death bed, said she thought Prince had terrible taste in everything, and wanted nothing to do with it. I doubt he ever wrote anything. Was seriously thinking of buying this book but, after that review... Not so sure now. i have never read a book about prince... yet. wish he'd do an autobiography. BTW, what are the sources in this book? Did the author do research/interviews themselves, and with whom? Or did they just take the info from previous biogs and books? You'll likely get even less truth in that one, if it ever materialises at all, which is entirely doubtful. George Michael is in the process or soon to be writing his. Should be a good read. There's a part of me that wants to read this book but I have a feeling it's saying the same things that I read in others, like "Purple Reign" or "Possesed." Will Prince ever write his memoirs? Good question. I have a feeling he will but it's 10-15 years away. It won't be anytime soon. So what, apart from the (by all accounts) brilliant DMSR is recommended? At least get and read DMSR. If your a real dedicated info fan, it's definitely worth your time. What about one the picks up after it? Has been mentioned that the Alex Hahn book is a hatchet job. although he spells 'Champagne'...'Shampagne' - i don't think I've seen this spelling before in a biog. P.76 He incorrectly states Prince's age as 22 in the spring of 1983, when in fact it would have been 24. You'd think that these writers, after spending so many so-called years of research, would take the time to proof read to make sure all the errors were corrected before publication. ^ Yes, I mean dates like that are really silly mistakes, it's basic maths. I think saying that Do Me, Baby was on the Prince (1979) album is a really stupid error. Page 116 - Mentions recording the Ladder on Dec 30, 1984, then says the next day Prince had to play a matinee as it was Christmas Eve?!?!?!? There is another date mistake on P.134 talking about the Parade sessions in 1985 and says it is approaching Prince's 28th Birthday, even though as it was 1985 it would have been his 27th Birthday. keep in mind, the guy who shopped Prince to the record labels first, took two years off Prince's age, to make his musicianship seem even more incredible. Never will buy this book-not interested. However, silly on p.189 when he refers to 'Anna Waiting' being about a 'pal', ( in fact it referred to his 18 yr old lover Anna Garcia, for whom it is thought he wrote 'Pink Cashmere'). ^ You should write a book! Would be even more "geeky fan analysis" than the one by Per Nilsen. P.194 He makes some good points about a lot of drum beats on Graffiti Bridge being 'borrowed' from other artists, such as Tick,Tick,Bang using the drumbeat from a Hendrix song called Little Miss Lover. Also says Diamonds and Pearls had a Romance 1600 recycled melody...good observation. No, because its not available here yet and from your guys reviews, it sounds like it is full of numerous glaring errors, not pleasing for a guy like me who feels he knows Prince's career and musical output inside out. Also the name "Ronin Ro" does not instil me with much confidence to his academic credentials in writing. As I believe he was a writer for rap magazines like Vibe and the Source. I prefer to stick to my Hahns and Nilsens any day. Still you know, there is a lingering curiosity. I mean is that name some sort of cool hipphoppery ebonics type thing or is his real name like Robert Jenkins Johnson or something. 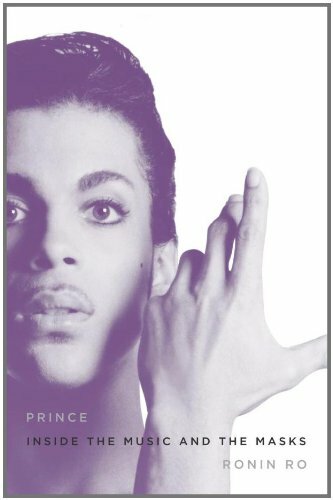 My question though, is there anything truly new or revelatory about Prince in the book, I mean once you have read 5 Prince biographies in a row, you kind of get tired of the whole "Prince story". And also some of these new biographies like Thief in the Temple and the Music and the madness have been a little formulaic and predictable lately. The last truly excellent book on him was "Possessed" it was at least honest, I love the way he calls Diamonds and Pearls a "Pyrrhic victory".